Engineering, Tool Maintenance, Training and Logistic – BLECHER features beyond saw blade hardware! From tailored saw blade solutions and broad maintenance and repair through to comprehensive training and best practises seminars as well as individual logistic concepts, beyond our proverbial quality BLECHER offers the entire associated service. Starting with (initial) advice over the phone up to face to face consulting with the customer on side – we don’t consider us limited to a supplier of superior and targeted saw blade solutions only, but above all as a partner for our customers. 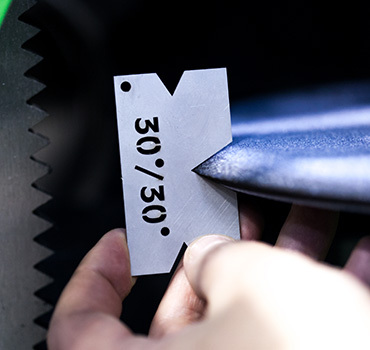 Decades of professional and global experience and a continuously growing know-how around the sawing technology have helped us – and so our customers – to make the right decisions and to avoid costly errors straight from the beginning. A broad global maintenance and repair network for all saw and knife blades from our origin ideally complete our service capacities. 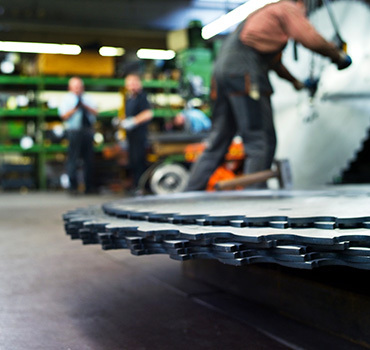 This helps to even more increase the already extremely long and BLECHER-typical service life for our saw blades and to further reduce costly production down times for our customers. 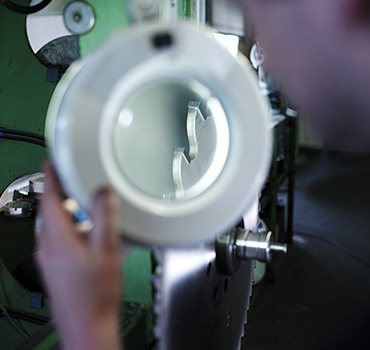 Choosing high quality materials and foresighted processing technologies considerably sustain wear life of our blades. We help our customers and service partners with selecting suitable machines and equipment for competent and approved saw blade service. Special machines with our own know-how background such as sharpening and flame hardening machines for hot and friction saw blades, cutting edge grinding machine for circular knives and equipment for re-straightening and tensioning of our blades we offer to qualified customers also from our own production. As a partner for our customers we are happy to share our expertise for saw blade application and maintenance. That way the tools can be operated at conditions to get the most from them and it also benefits for quick and trouble-free return to production with a longer life cycle and higher ROI after repair. From the origin of the materials and the date of production to the exact flow of material and each individual manufacturing step, every detail is recorded by BLECHER. 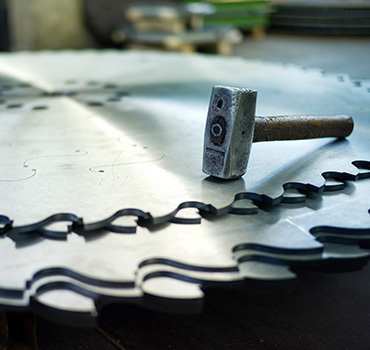 Even after multiple years the entire production process of each single saw blade or knife is precisely reproducible. The BLECHER service also includes sophisticated logistic concepts which reduce capital commitment and waiting times. 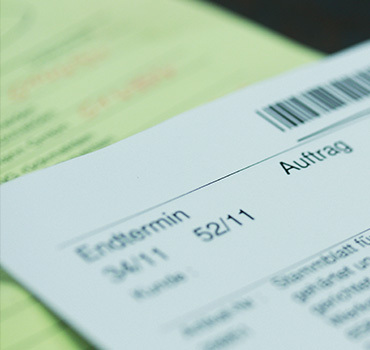 Whether blanket orders, individual stock-keeping or checked profiles for blade demand – also for logistic issues BLECHER customers can fully rely on highest quality and efficiency.